The ER-900 range from Sam4s features the latest in modern cash register design and technology. 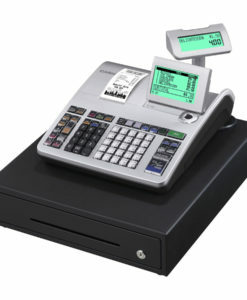 With the capacity to store up to 2,000 products, these tills are perfect for larger retail environments and come in a variety of configurations. 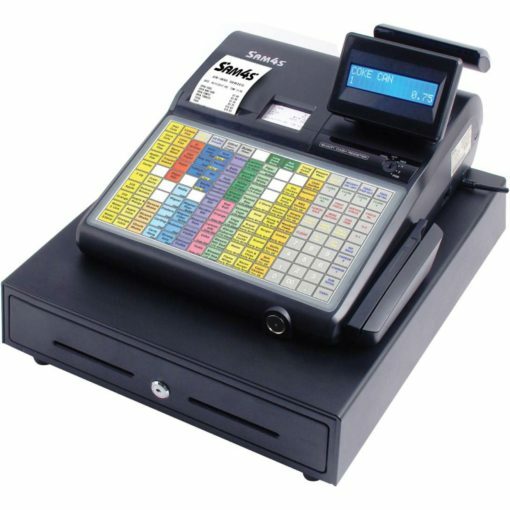 Thermal printing with a graphic logo facility and drop-in till roll change are standard, as are dual displays for operator and customer. 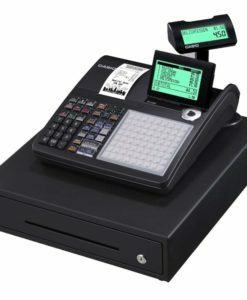 The ER-900 range can support up to 50 clerks and 4 tax rates and also feature a Help function accessed at the push of a button. An SD card slot is also standard, allowing backups to be performed with ease. 90 days of memory protection is provided by a single battery charge. Peripherals can be connected via 2 D-Sub-9M ports, while an RJ11 port is also included for the cash drawer. The cash drawer itself has space for 4 sets of notes and 8 sets of coin, and also includes 2 media slots. The 920 and 940 feature flat, spill resistant keyboards, ideal for use in restaurants or similar environments. The 925 and 945 feature a standard 150 button raised keyboard. The 940 and 945 feature dual printers, one for standard receipts, the other for journal/audit printing.